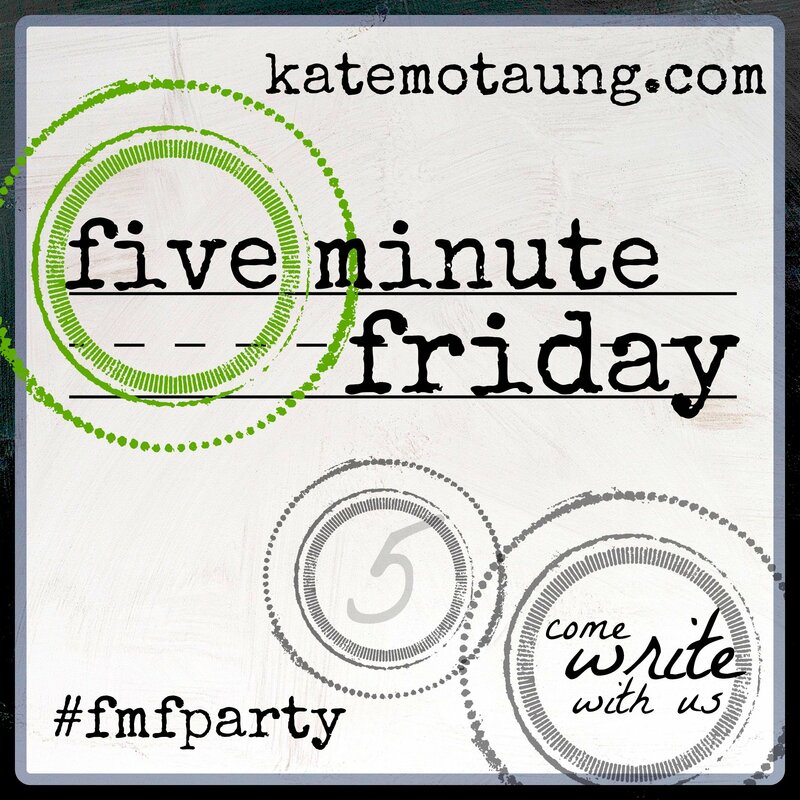 Set your timer for 5 minutes and join Kate and the Five Minute Friday crew as we write raw, quick and deep about this week’s prompt: HIDE. She gently asked me why I was hiding. Buried under a comment thread on facebook I was letting a few people in, ever so cautiously. But the time has come to stop hiding. When I was hiding it didn’t feel so scary but as I spoke louder and opened the door wider I began to realize the depth of the problem. You see, there I go again, trying to candy-coat it. It’s not just a “problem”, it’s a sin. A sinful tendency, an ineffective coping mechanism, a destructive weapon. Anger. I see it in them, their little faces, as the shouts come back my way. As the doors are slammed and the things are thrown, I realize I am to blame. They learned it from me. The time is now. It must stop. Enough already. I want to be made well. I think many of us hide our sinful anger because we are afraid of judgment and the ramifications of our confession. But I’m tired of trying something that isn’t working. Not only is it not working it is wearing me down and them too. It’s time for a better way. This #TightlyWoundWoman wants to be in control but I am often out of control with my words, when things don’t go as planned. Deep down I want to be in charge and I’m mad that I can’t be. Oh, that sounds a lot like Sister Eve in Eden, does it not? “The serpent deceived me and I ate” (Genesis 3:13). I’ve been exposed and I am scrambling for leaves to pretty up this sin. But it’s not working. I am face-to-face with this reality that anger has a hold on me. I can blame or I can call on His Name. Dear Jesus, May your hold on my heart be stronger than this vice that grips my thoughts and lips. Thank You that you died to set me free. Nothing is too hard for you. I give you this hardness in me and ask for you to change me. It might hurt, but not as much as those nails driven into your sinless flesh; you died for this anger. Help me live out my thanksgiving for your forgiveness. Amen. 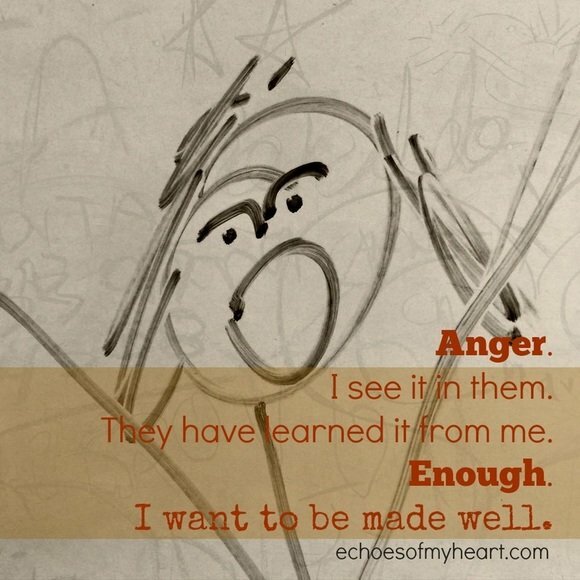 Do you struggle with anger too? Join Wendy Speake and the MOB Society as we fast from sugar for 40 Days and ask God to get to the heart of the issue. For many of us He is dealing with our anger and helping us get to the root of what is really going on. The time is now, to come out of hiding and let Him make us well. As we starve our anger we begin to taste and see again how sweet His Word is and how capable He is help us in our weakness. Indeed, it does. And I see it in me. I have been struggling with stuffing my anger, and feeling overwhelmed because my life is out of (my) control in many ways. What an amazing eye opener that is! We overcome by the blood of the Lamb and the Word of our testimony. Thanks so much for sharing yours! By the blood of the Lamb and the word of our testimony- great verse and reminder! Here’s to true freedom, found in Jesus. Thank you Selena. Wow, Katie – powerful and transforming words here today. I’ve linked so many issues with my temperament to my health and also the temperature of my walk with the Lord. The busier I get and the further from Him I get, both in my physical and spiritual habits, the more prone I am to bubble up and over. I’m grateful for grace and for the power of forgiveness AND the wisdom from Him to make positive changes for the better. Cheering you on and can’t wait to hear more about your journey! Standing in faith beside you – believing that these are not mere words, but an invitation for the Holy Spirit to radically change us, repairing what’s broken down, redeeming what feels lost. I have great love for you. Yes and amen sweet friend, thank you. Your invitation on this deeper journey is one I will ever be thankful for. Wow!! Great post. “Change my heart O God!” “Taste and see that the Lord is good.” I need to pray that prayer today too! “Change my heart O God”- a prayer for us all. Thank you Tara! What a great prayer, Katie. I also need to pray that one. Anger gets the best of me too sometimes. Praying for us right now Kim. Galatians 5:1 comes to mind- let’s walk in the forgiveness and freedom that He is available to us in Christ. “Dear Jesus, May your hold on my heart be stronger than…” That prayer is so powerful. To be aware of something’s grip to hold my heart more than Jesus has my heart puts everything in perspective. Whether it is anger or any other sin struggle, that is a root. May nothing hold my heart more than Jesus! I need to reflect on that, and maybe–if I am feeling brave–ask Him to show me what is holding my heart. HI Cheryl- Yes, “may nothing hold our hearts more than Jesus.” We can’t do this without Him, can we?